Nanotechnology: the next controversial subject? Nanotechnology is the technology of building structures from atoms, molecules or molecular clusters to make materials and devices that have new properties. It is a new field in agriculture and food production, but it offers a wide variety of applications that can help overcome a number of problems we are facing today. They can help improve food safety, traceability, reduce the use of chemicals and reduce waste. Thanks to nanotechnology, agriculture and food production will be able to use very efficient devices and sensors that can help make better and faster decisions. For instance, in “Controlled Environment Agriculture”, which is an intensive hydroponics greenhouse system used in the USA, in the European Union and in Japan, nanotechnology is a great fit for the already sophisticated computerized management that optimizes growing conditions. There is also a lot of potential for precision farming, in which nanoparticles can be used to store and release pesticides and herbicides in a targeted and controlled manner. Nano-clay capsules can store fertilizers and release them slowly, allowing only one application during the cycle of the crop, thus saving time and fuel to the farmer. This helps reducing the use of chemicals, too. Further, nanosensors can be used to measure crop growth, help diagnose diseases even before the farmer can visually notice them, or help him carry out microbiological tests and get results within an hour. The use of nanosensors also helps the farmer make better decisions and act effectively faster than today, as they can help him monitor soil moisture, temperature, pH, nitrogen availability, and in the future could open the path toward a remote farm surveillance system. In the area of pest control, using nanocapsules is useful in the system called “Integrated Pest Management”. Not only, the problems can be identified earlier, but also plants can be treated much more effectively. Giving treatment to farm animals also can benefit from this technology, which is already used in human medicine. Nanotechnology is already used for water treatment, and there seem to be many possibilities in that particular field to help solve existing environmental problems. For instance, the American firm Altairnano from Reno, NV produces lanthanum nanoparticles that have the ability to absorb phosphates in water, which offers interesting possibilities to reduce algae growth in ponds and rivers. Similar applications of nanotechnology can be used to decontaminate soils and groundwater by using iron particles that help break down dioxins and PCBs into less toxic carbon compounds. They also can help remove arsenic from drinking water, a problem that occurs in many regions. Agriculture is not the only field where this technology can bring benefits, but the food production industry is very interested by the possibilities, too. Some nanodevices can be used to tags food items. This can be of great use to ensure traceability and to help optimize the supply chain. Large retailers like Wal-Mart and Tesco are investigating such devices made out of silicon, but it appears to be too costly at this early stage. We can be sure that this will change in the future. Food packaging is an area with interesting potential, and there are new packaging materials in development. The nanotechnology helps reducing the risks of food contamination. Some systems reduce the ability for oxygen and gases to travel through the plastic wrap, which extends the shelf life of the product. Other food packaging systems are aimed at controlling the level of humidity, of oxygen, as well as reduce bacteria counts and eliminate any problems of odor and flavor. Antibacterial packaging using nanosilver particles is in development and the applications range from plastic cling wrap to plastic bags, containers, even teapots and kitchenware. Packaging containing nanosensors are made of carbon nanotubes or of titanium dioxide that can be activated by UV help detect microorganisms, toxic protein or food spoilage. The firm AgroMicron, from Hong Kong, has developed a spray which contains a luminescent protein that has been engineered to bind to the surface of microbes such as Salmonella and E. coli. When it is bound, it emits a visible glow, which allows the detection of contaminated food or beverages much more easily. Developing “molecular food manufacturing” which consists of building food from component atoms and molecules is already a possibility that some are considering. Although such a development is far into the future, such a technology could allow a more efficient and sustainable food production in which less raw materials are consumed, and food that would be obtained would have a higher nutritional quality. Nanotechnology obviously offers interesting possibilities for food production. Yet, some people express a number of concerns. This is what can bring the next controversy in the food business. The problem is that nanotechnology in food is relatively new, and we know very little about the long-term effects of using these components. Moreover, because it is so young, food safety regulations are not properly written to deal with this, and the status of the nanoproducts is unclear. One of the concerns is that such particles are very active and very reactive because of their size; and by the nature of the chemicals that they are made of; they could bring health risks as well. There are new very promising possibilities, but we must be vigilant and address the risks as well, and true progress is about to use this new technology, for our benefit. Copyright 2009 The Happy Future Consulting Group Ltd.
Coca-Cola will start selling its beverages in a special bottle, called the PlantBottle, which is made from PET plastic and from plant-based materials by the end of 2010. A first launch will take place in Western Canada during the Olympic Games held in Vancouver, BC. In the US and Canada, the bottles will include 30% of plant material, and the bottles are 100% recyclable. The biological material will come from sugar cane by-products, originating from the production of ethanol, mostly from Brazil. Including this material in the PET plastic reduces the carbon footprint of the bottles, and reduces the dependence on oil-based materials. The benefits are both environmental and economic. The ultimate goal of the company is to produce bottles that will be made of 100% non-food plant-based materials such as wood chips and wheat stalks. For further details, read the Coca-Cola press release at http://www.thecoca-colacompany.com/presscenter/presskit_plantbottle.html. Glad to read this statement! Hopefully what Patrick Holden, director of the Soil Association is advocating in this article will come true. It is high time for the partisan debate to end, for both sides to recognize that they do not know it all, and they both can learn a lot from each other; and for all of us to make the right changes. Yes industry, there will be changes, and some profound ones that will reshape your landscape. And yes environmentalists there will be changes and you will not have all that you want because eating is not an ideal, it is a necessity. Uruguay, the quiet leader in beef? Here is an interesting article about how Uruguay works towards a healthier future. Not only does the country invests a lot in renewable energy but it works in improving its beef, too. Not the largest producer, but certainly among the smartest. 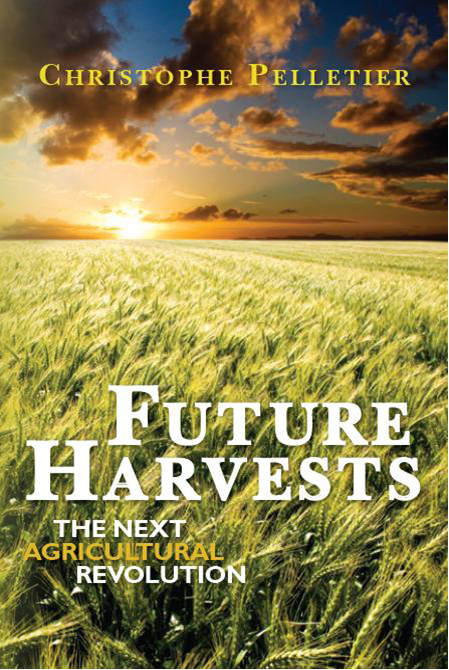 Who will be the farmers of the future? While most of the discussions about the future of agriculture and food tend to focus about how to feed 9 billion people, and about whether it should be organic or industrial, one question seems to be left aside, though it is a very important one: who will be the farmers. If the forecast of the UN is correct and by 2050 when we are 9 billion, 70% of the people will live in cities, while today this number is only 47%, this means that in fact the rural population will decrease by about 25% from the current numbers (2.7 billion vs. 3.6 billion today). This means that there will be a lot less farmers in the future. So, who will they be and where will they be? A lot of the good agricultural land is in the Northern hemisphere, and in areas where not only the population numbers are stagnating, but these are regions where the average age of the population is increasing from an already rather high level of about 50% of the population older than 37. These regions, North America, Western Europe and Eastern Europe are not likely the countries where we can expect a surge in urban population. This will happen mostly in Africa, Asia and Arab countries. These Northern hemisphere countries already have large commercial farming structures and, unless they train many new farmers, the concentration trend is likely to continue, meaning even less farms, and larger farms than today. In countries where the agriculture infrastructure is more fragmented and farms are smaller, which are the countries where the urban population is going to increase the most, there clearly is a need to rationalize production and increase yields to feed this new population that will have very little possibilities to grow food where they live. This means a “revolution” in the way agriculture will have to be organized and structured. Asia and South America have already engaged in this process for a few decades, yet depending on the countries they will face different challenges, mostly about access to water and ensuring the sustainability of their environment. The continent where agriculture has stayed the most traditional is Africa, where a large share of the land is used for subsistence. Many African countries have struggled for years with poor policies and a lack of investment to help a proper development. This has resulted in lower yields over time. As such, this also means that Africa is the continent with the highest potential for improvement, although this would have to be managed very carefully, as climatic and socio-cultural conditions are very sensitive. Therefore, we can conclude that in the future, not only will we have fewer farmers, meaning fewer farms, but also in the same time, we will need to increase production and train a new generation. All of this will require a fair amount of capital that many farmers alone cannot afford, especially considering how their income situation usually is. This will be no surprise to see more capital coming from large corporations, investors and governments. This is already happening in Africa with the land purchases and leases, and we can expect his to happen. There is a huge (rather captive) market where demand probably is going to outpace supply, and there is a lot of capital waiting to enter markets where money can be made in trade activities. A study to determine how much waste is produced in the meat and fish supply chains has been initiated in the UK by the Waste and Resources Action Program (aka WRAP) and Envirowise. The goal is to help reduce waste and save money. Satellites are the modern way of agricultural land assessment. Not only is it accurate, but it proves to be much more cost efficient than former techniques such as soil analysis. The status of farmland at a glance! By measuring the electro-magnetic radiation reflected from the ground, a whole region can be scanned at once, and farmers can have a review for their whole farmland area. On such maps, they can see the variations of their crop performance as well as soil and fertilization status. From there, they receive advice; they can set up their own action plan and time it with meteorological data. Here is the link to the article of Economist.com for the whole story. You are currently browsing the The Food Futurist blog archives for November, 2009.